Priceline down at this time? Check the Priceline website server status if it shows problems and errors. 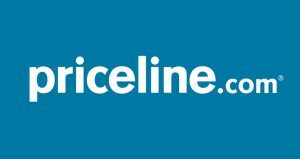 Priceline.com gives you access to discounted prices for hotel bookings, flights and car rentals. Priceline is a travel related website which offers the services as an indirect supplier. The travelers choose the prices for the service, and Priceline will then give the difference. The applications of Priceline are also available on Apple and Play Store for respective mobile phones. Priceline Group is owner of Priceline.com and it is also a leader in online travel services. There are total five brands beside Priceline which works under Priceline Group. If you today get issues while using Priceline.com check the status report from here. You can see the possible reasons for outages, and issues which lead the problem to occur. If you have another thing to share with us, you can submit your reviews here. We always welcome contributions from visitor of this website.